With over twenty bookshops of all shapes and sizes, and one of the world's best known literature festivals the Welsh town fof Hay-on-Wye is a perfect destination for booklovers. With its quaint streets dominated by bookshops of all kinds there’s a good chance you’ll source a replacement copy of any lost book here. With over twenty bookshops in a town with a population of just 1,500 people, Hay-on-Wye is a worthwhile pilgrimage for any booklover. And, even if your travelling companions are not big bookworms, they'll be guaranteed to have a great time too. 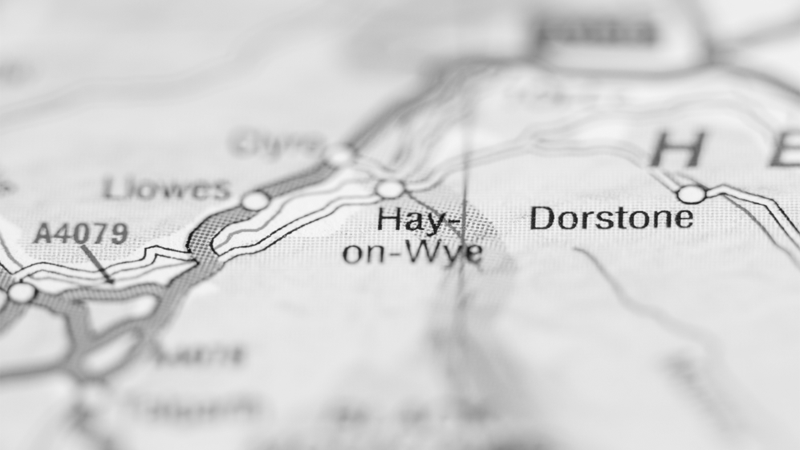 Each May, the small town of Hay becomes the centre of the literary world, with the world famous annual Hay Festival. It is also one of the leading literary and arts events on the calendar. Each year, a veritable selection of literary minds and international thinkers host a giant programme of talks and discussions. The next Hay Festival will take place between 24 May and 3rd June 2018. In its 30 years it has grown, spreading overseas to a diversity of countries around the globe including Columbia, Denmark, Spain and more. Tickets for events sell out very quickly, so if you're planning your visit, keep an eye out for the Hay Festival programme release here. Back to the book shopping. We suggest if you're looking for a new release you should start your search at Richard Booth’s Bookshop, which as well as stocking all of the latest titles, has a good selection of second hand books. The bookshop is also home to a café & a cinema that screens a mixture of quality mainstream and arthouse hits, along with an events space for Hay's finest live music. Second hand book shopping is where Hay's bookshops really are second to none. If you're looking for a certain edition of a classic, or a long forgotten childhood favourite, take a visit to Addyman’s Books, Hay-on-Wye Booksellers, Haystacks Music & Books or Greenways Books & Magazines. 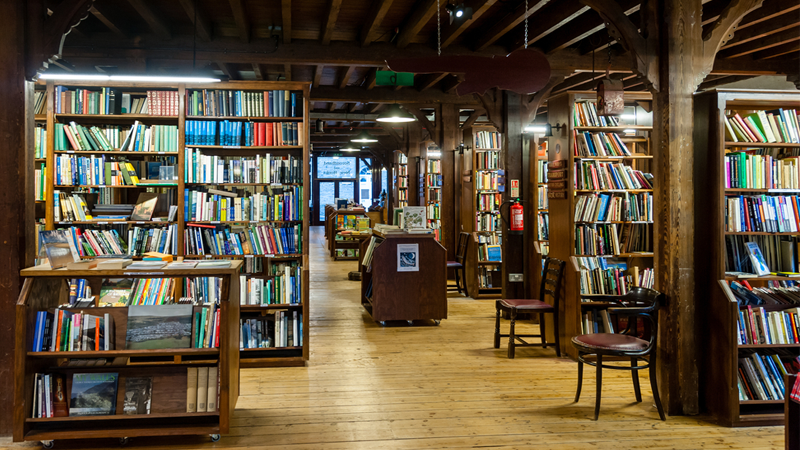 If what you're looking for is rare or out-of-print then delve into either Broad Street Antiques & Books or Backfold Books & Bygones, who specialise in these areas. Beyond its rightfully earned nickname ‘Town of Books’, Hay-on-Wye is a true beauty in a stunning South Wales location. It’s within driving distance of the Brecon Beacons and the Black Mountains. Within town borders, there is a lot of history and culture to enjoy on foot. Contact Hay Tours and choose from a selection of town walks. There are tours to take in the bookshops, the railway, the Herbert Rouse Armstrong tour, a walk around Hay Castle, and a visit to nearby Clyro where you can explore its connections to Francis Kilvert’s famed diaries of country life. The partially ruined Hay Castle was bought by a trust from the ‘King of Hay’ Richard Booth in 2011 and has been going through a programme of restoration since 2016. The castle is one of the boldest remaining examples of a medieval fortress along the England-Wales border. Because of its strategic position it has seen a great deal of combat, having been sacked and ravaged by fire many times since its first incarnation at the time of the Normans in the late 12th century. It has had significant additions made throughout the ages too, making it a great spot for architecture buffs. For visitors in love with the great outdoors, why not take a walk to one or both twin peaks above the town, Hay Bluff and Twmpa, which offer panoramic views as far as Pen-y-Fan. It is also possible to rent an eco-car to cover part of ascent, a fun way to enjoy the valley, or you can hire a canoe or kayak at Wye Valley Canoes to take on the section of the River Wye that runs past the town. You could also hire a mountain bike to explore the wider area. Beginners are welcome, as both of these centres run lessons to help you get on the water or road. There’s plenty to do for kids too in the Hay-on-Wye area. Be sure to check out Rose’s – The Children’s Bookshop. Not only will you find all the latest favourites, you will also be able to take a trip down memory lane and find the books you grew up with as well. For kid-friendly horse riding lessons try out Bryngwyn Riding Centre or for an adventure playground experience check out Llangorse Multi-Activity Centre. 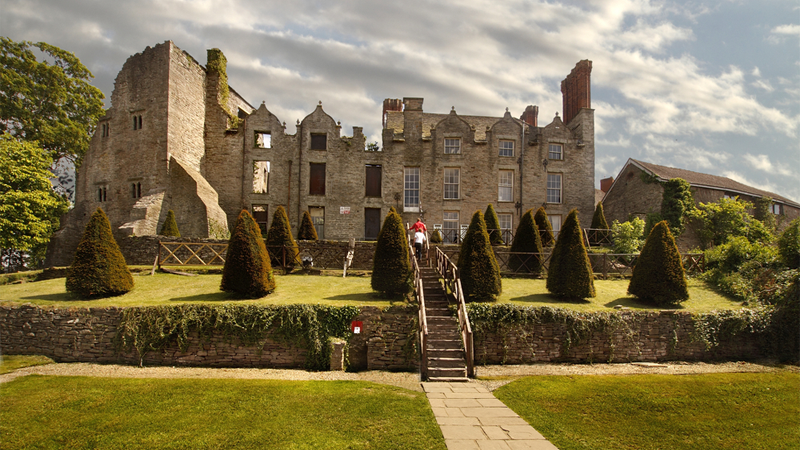 Hay-on-Wye is the perfect blend of history, culture and the great outdoors, so it's guaranteed that there is something for people of all outlooks to ‘get into’ here. This piece of content was written by HolidayCottages.co.uk.